Everybody knows where to turn to when they need some form of luxury transportation for their wedding or other elegant affair. When there's more of a requirement for space than there is for plush seating and mini-bars, some people may freeze up and have absolutely no idea where to start. Much like when you're planning transportation for a small group to your affair, finding a large enough vehicle to accommodate your squad is just as easy. 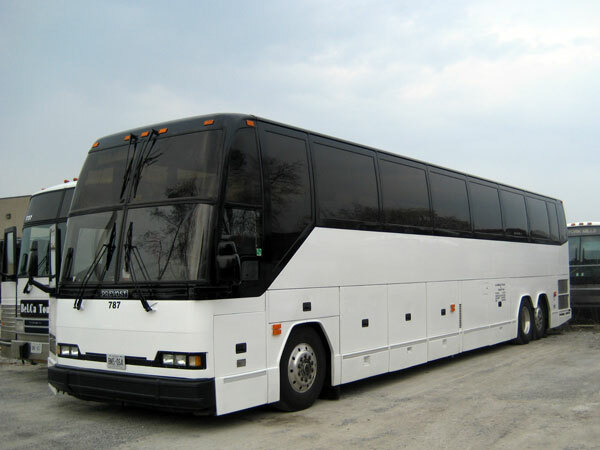 If you're in of a vehicle that can seat up to 60 individuals, than you should be looking into Dallas Limo Services coach bus rentals. If you've ever had the pleasure of taking a school trip to an out-of-state location in the '90s, chances are you were aboard a coach bus. Unlike the typical school bus, a Coach Bus offers a bit of class, style, and comfort to your large group travel. 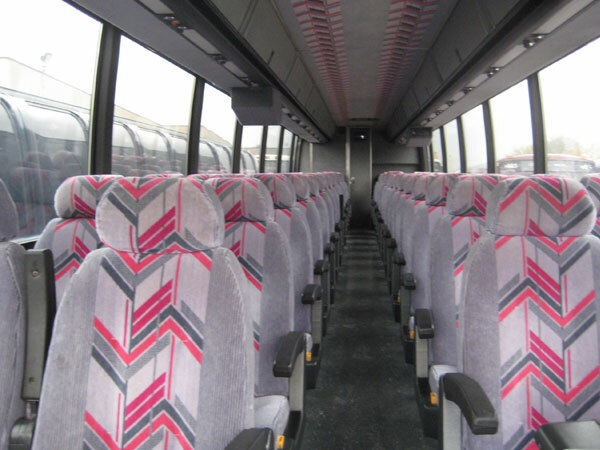 Much like limousines, Coach Buses come in varying different varieties with amenities perfect for many occasions. The most basic of Coach Buses is exactly as it sounds. Rows of felt seating are complimented by scattered drop-down televisions, which are the perfect solution for a bus full of restless students. Seating on the second story of the bus is perfect for scenic drives that may offer some breathtaking sight seeing and varying learning experiences along the way. Due to this styles lack of further amenities, the basic coach is perfect for shorter excursions or large tours with numerous stopping points. Smaller versions (the Mini Bus) are available for seating up to 30 passengers. Amenities for the smaller Mini Bus are identical to the basic Coach Bus., making it the perfect choice for smaller class trips. Corporate trips can make use of the lower end buses, but a look into upgrading may be worth keeping the employees comfortable and happy. On-board bathrooms and executive style chairs make the Executive Coaches the perfect fit for longer journeys. Equipped with dropped-down televisions and a centralized DVD player, the Executive Coach offers a chance for some workplace training on the go. Fold-up tables make for the perfect spot to set-up a laptop and get some much needed work done. If your trip calls for something a bit more relaxing, Entertainer Buses create the perfect scenario for a long tranquil drive. Equipped with a fully functional kitchen (including a full size fridge, microwave, and sink), the Entertainer Bus caters to the pampered individual who has a hard time living without life's luxuries. A sitting area outfitted with a full screen HD television, sleeping quarters, and full bathroom make this style bus the perfect selection for a luxurious tour of the nation. No matter the occasion, if you require seating for a large group or just want to take you and your friends on a tour without leaving behind life's necessities, there is a style Coach Bus available to fit your needs. All buses include luggage storage, either overhead, underneath, or both.